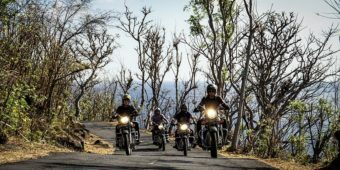 A perfect motorcycle tour to venture to the other end of the planet and discover the natural wonders of Bali. 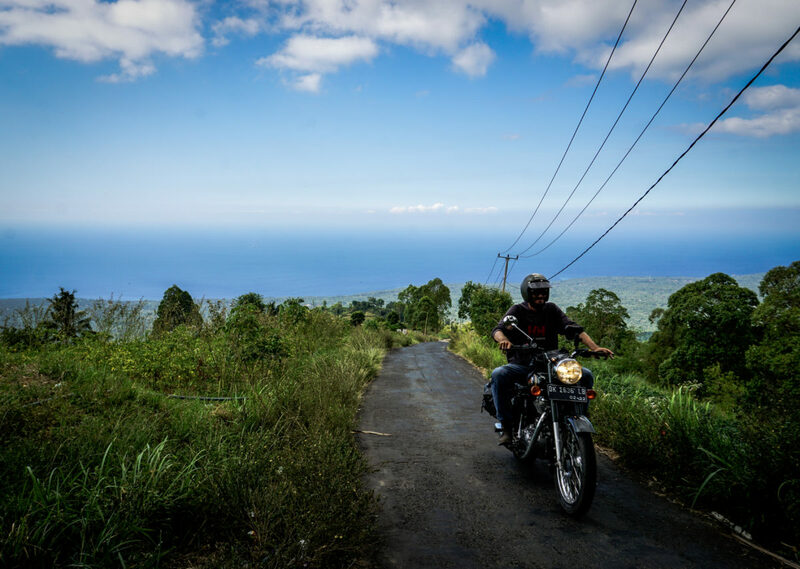 Hop on your Royal Enfield to travel near 370 miles on the island of Bali. 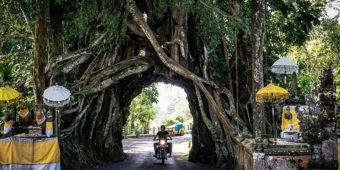 Start smoothly from Ubud, discovering the natural wonders of the island of the Gods, and its well-preserved ancestral traditions. 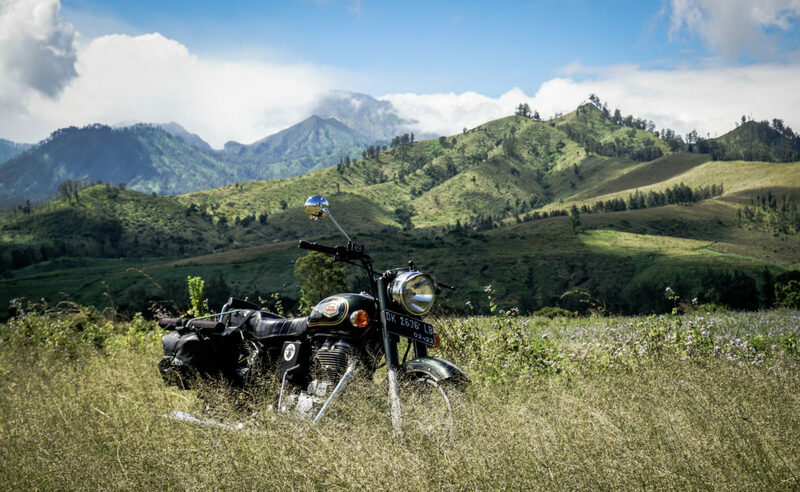 You ride on beautiful little roads, between rice terraces and jungle as far as the eye can see. You cross its reliefs and walk along its coast, closer to local life. 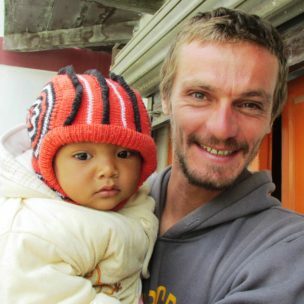 The Balinese are proud of their traditions and share them with a smile. 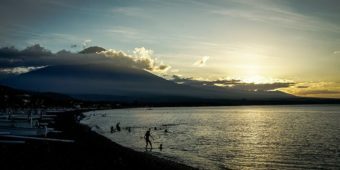 Taste the delicious local cuisine, admire the traditional fishing boats and dive into the turquoise waters before climbing the assault of the mythical volcanoes of Bali: the famous caldera of Batur and the majestic Mount Agung, culminating at 3100m above sea level. Change of scenery guaranteed! 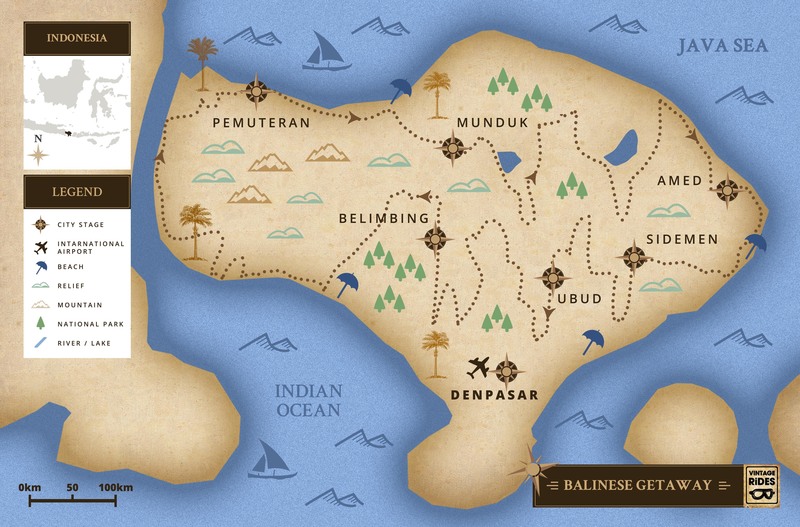 On arrival, you will be met at the airport and transferred to Ubud, Bali’s cultural and artistic centre. 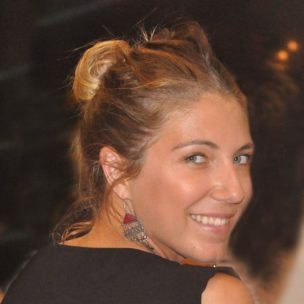 You will check-in at the hotel and have a free day to explore Ubud or do as you please. 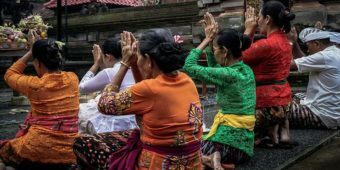 Ubud is believed to be the most magical town in Bali, with its daily dance shows, shops and art galleries. 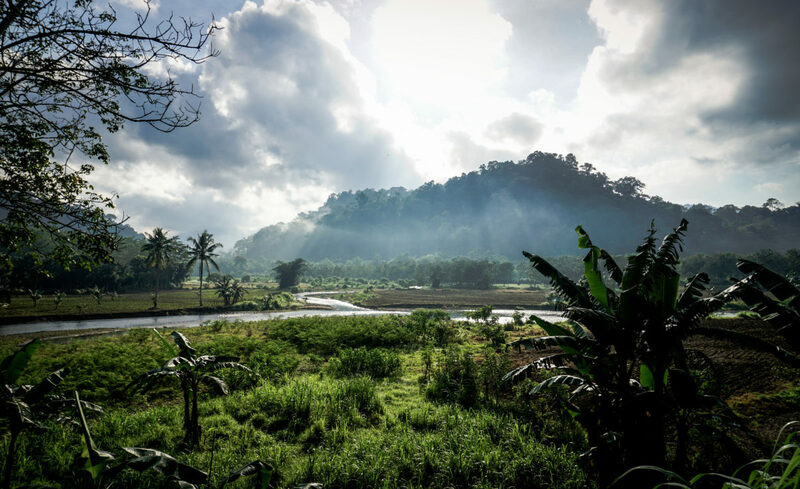 Your trip will start off smoothly on small country roads near Ubud. 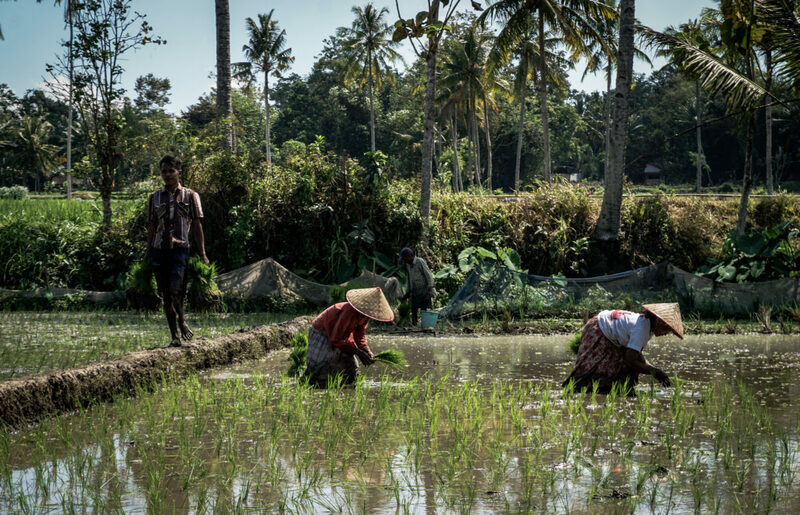 We will pass through dense forests, farmlands and typical villages until we reach Jatiluwih’s magnificent rice paddies, a UNESCO World heritage site, where we will stop for lunch. 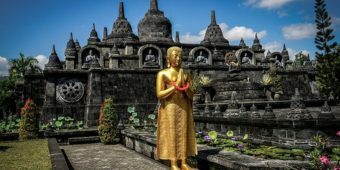 In the afternoon, we will visit the spectacular Batukaru temple, before reaching our hotel in the Belimbing area, on the slopes of Mount Batukaru. We will start the day off taking in the exceptional views of both sides of the island. 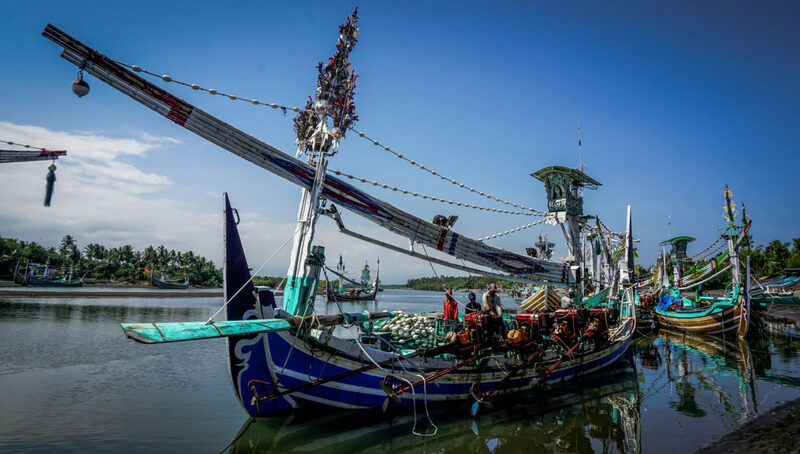 We head to the south coast in the late morning, reaching Negara, famous for its colourful traditional fishing boats. We will enjoy lunch by the sea before taking the coastal road to the western tip of the island. 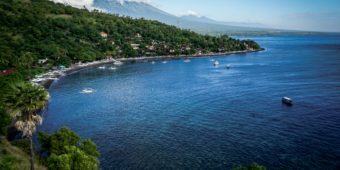 We end the day in the coastal village of Pemuteran, where our accommodation is surrounded by lush greenery close to the beach. 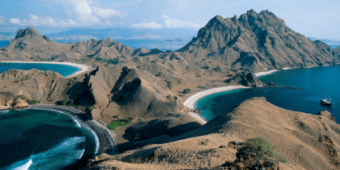 We will spend the morning in the Menjangan Island Marine Reserve, just a stone's throw away from the coast, where we will snorkel in turquoise waters and spot amazing underwater wildlife. 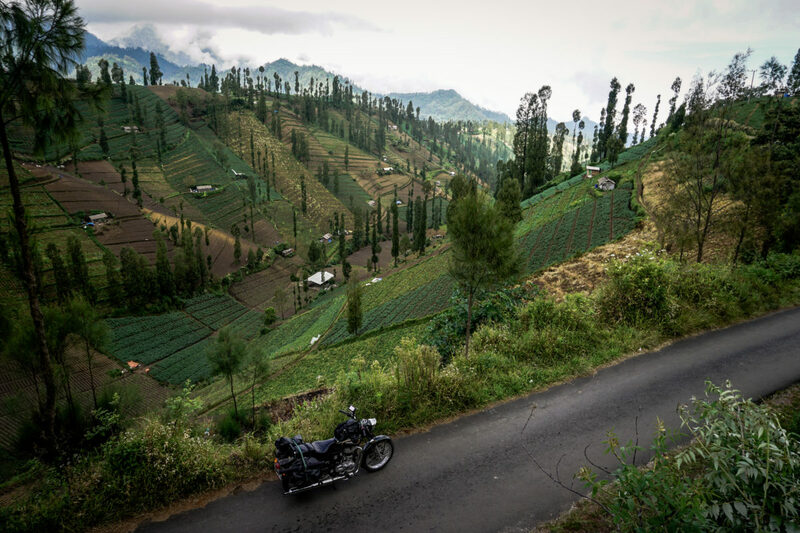 After lunch, we jump back onto our Royal Enfields and leave the coast behind us to head south, passing through coffee and clove plantations. We end the day in Munduk, an old colonial village nestled in the plantations. 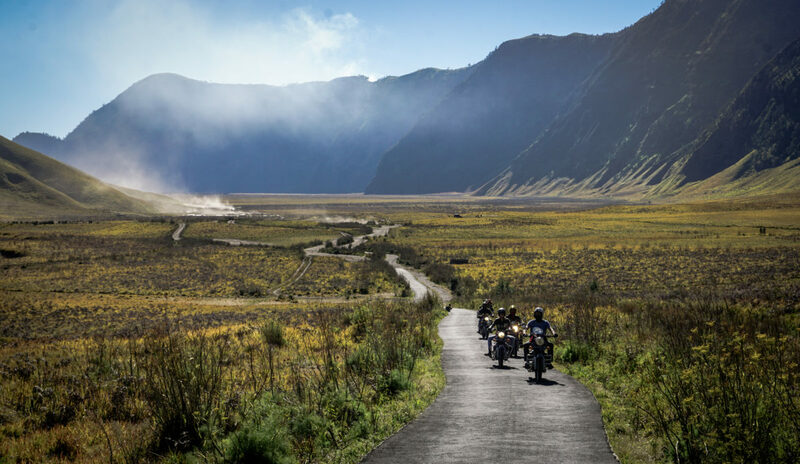 We take a breathtaking stretch that leads us to the volcanoes in the heart of Bali. 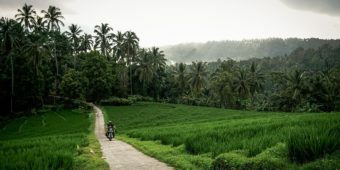 We continue into Bali’s central countryside to discover, in the middle of the tropical jungle, Mount Batur’s caldera, where we will stop to contemplate the views and enjoy a spot of lunch. 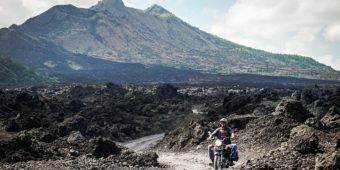 We snake down the volcano’s flanks to reach Amed, a small coastal village in the southeast of the island. We will spend the morning touring the eastern tip of the island on the exceptional coastal road, from where we can admire the traditional outrigger canoes bobbing in the sea, with their typical triangle sails. 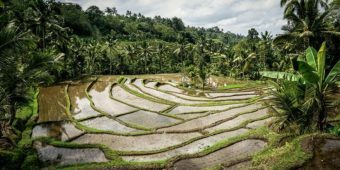 We will make a scenic stop at Amlapura market, in Karangasem province, before continuing west to reach the charming region of Sidemen - a small village hidden among the rice paddies. 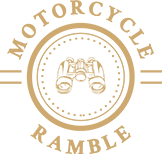 This last short stint on our motorbikes takes us northwest to Tampaksiring village, where we will have lunch in the rice paddies before admiring the ancient sculptures of the Hindu site, Gunung Kawi. A few miles before Ubud, we will stop in a small village, Pakdui, to watch wood carvers at work, an age-old Balinese craft. 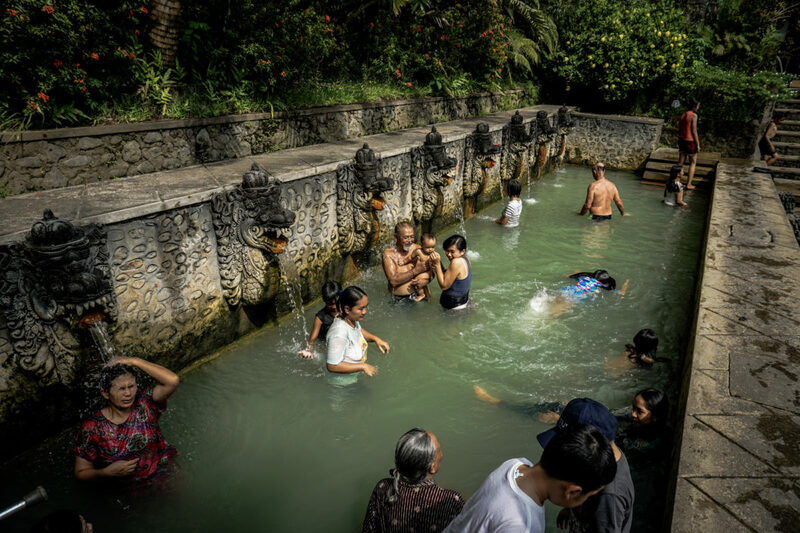 Once we are in Ubud, you will have time to do some shopping, relax by the pool or visit the town’s art galleries. 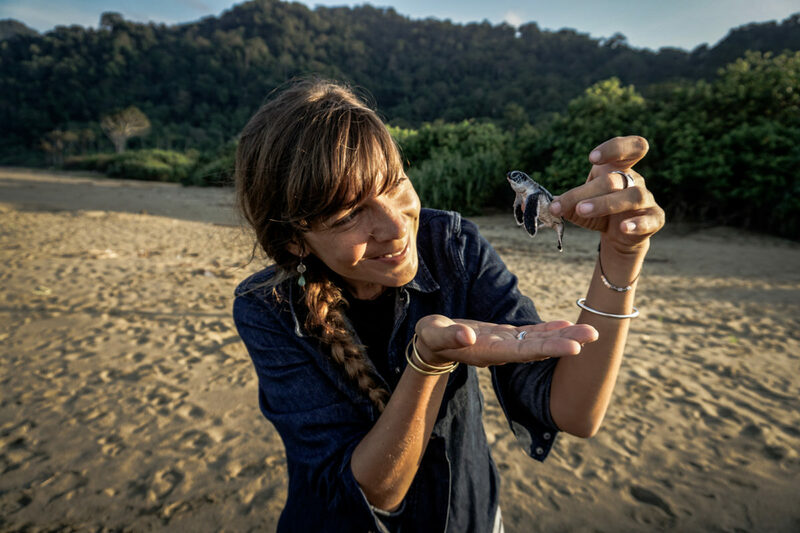 Depending on your flight schedule, you may be able to enjoy a few more hours in Ubud. We will be transferred back to the international airport.